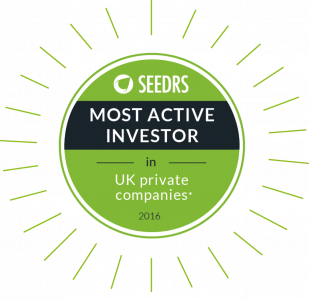 Seedrs is the most active investor in UK private companies*, enabling private investors and intermediaries efficient access to a high-growth potential asset class. Seedrs has successfully streamlined and commoditised equity investment in early-stage and growth businesses. 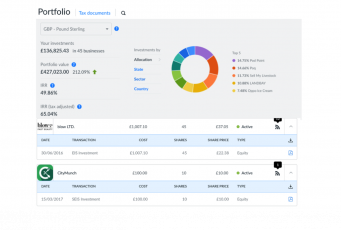 Seedrs offers sophisticated investors a solution for building and managing their own portfolio of tax efficient investments. They charge investors a 7.5% carry fee only on realised returns with no upfront or ongoing management fees. 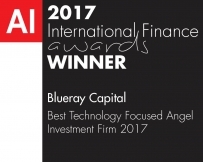 Blueray Capital has partnered with Seedrs to offer clients a source of early-stage private equity investment opportunities. Seedrs is one of a few platforms to publish a portfolio update analysing the characteristics and performance of its funded companies. Seedrs is the most active investor in UK private companies and accounted for 11% of all private equity deal activity in 2016*. On Seedrs, self-directed investors can access a broad range of deals and further diversify across sector, stage, geography and equity type. Seedrs is the first platform in the UK to launch a secondary market . This enables investors to buy and sell shares from each other, giving them the opportunity to potentially realise early returns. Note: It may be difficult to find a buyer or seller, and investors should not assume an early exit will be available just because a secondary market exists. We believe that investing in early-stage and growth businesses has the potential to produce returns that significantly outperform those from other asset classes—such as large cap equities, income instruments and property. This is a high-risk asset: most early-stage companies fail, returns tend to come from a small number of highly successful businesses after a significant amount of time. Investment in early-stage and growth businesses can provide diversification benefits across an overall asset allocation. Investing in early-stage private equity offers investors the opportunity to support innovation and feel a deeper connection to the companies they invest in. The award-winning, ISDX-quoted English winemaker raised £3.9M. The cloud accounting software company raised £1M and later IPO’d on AIM. Perkbox, the UK’s leading employee and customer engagement provider raised £4.3M. The healthy eating restaurant chain raised £1.28M. With regard to the Seedrs Secondary Market, not all shares will be eligible for the Secondary Market and, even if they are, the ability to buy and sell shares will depend on demand. It can be difficult to find a buyer or seller, and investors should not assume that an early exit will be available just because a secondary market exists. © Seedrs Limited 2017. All rights reserved. Seedrs is a registered European Community trademark (No. 008771537) and registered United States service mark (No. 85423072) of Seedrs Limited, a limited company registered in England and Wales (No. 06848016), with registered office at Churchill House, 142-146 Old Street, London EC1V 9BW, United Kingdom, VAT No. GB 208 3065 32. 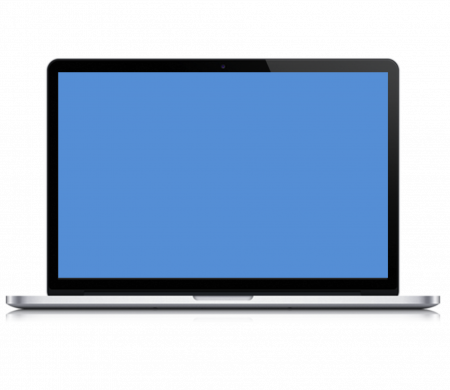 Seedrs.com is a website owned and operated by Seedrs Limited.